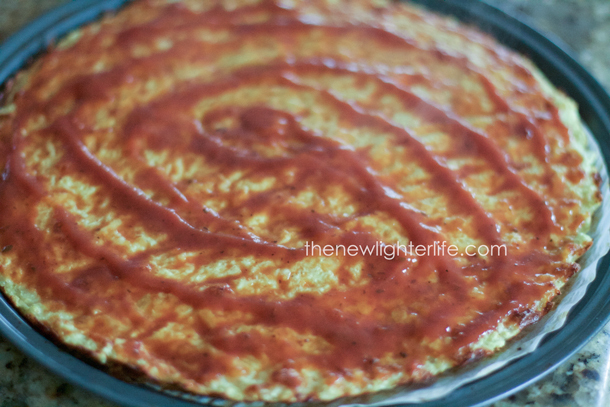 This isn’t my first rodeo in the realm of Low Carb Pizza – specifically Cauliflower Pizza Crust. Seriously…ricing the cauliflower…steaming it…straining it, no thanks. And in the end, it just falls apart and tastes like kaka, (okay apparently kaka is literally poop – that’s going a bit far). 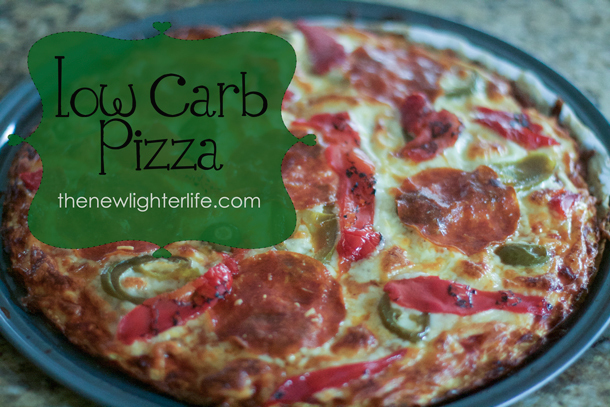 But what if I told you this pizza is the easiest to make and most delicious low carb pizza you’ll ever eat?! In fact, it’s so good we’ve had 6 times in the past 7 days. Goodness…I LOVE variety but this is to die for! 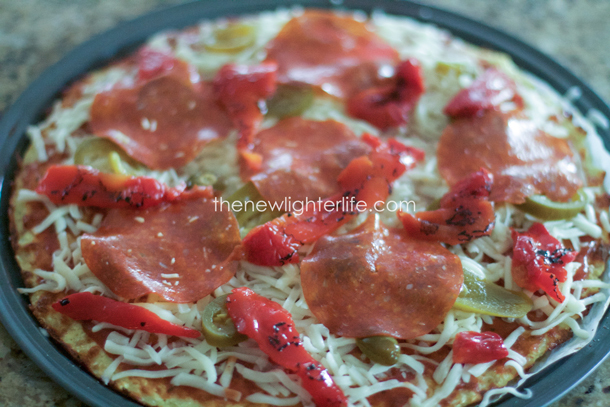 There are just 3 ingredients in this pizza. It doesn’t need salt. 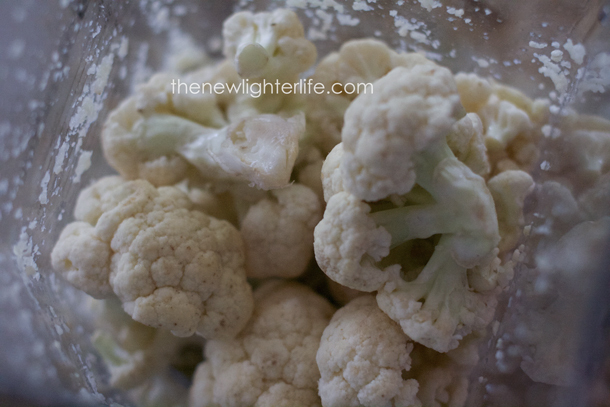 And the cauliflower – don’t you dare precook it or mess with straining the water out of it! 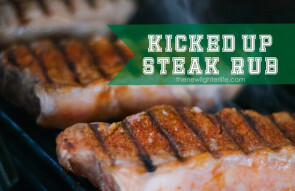 Read again, DO NOT PRECOOK the cauliflower, (that was always my least favorite part anyway). 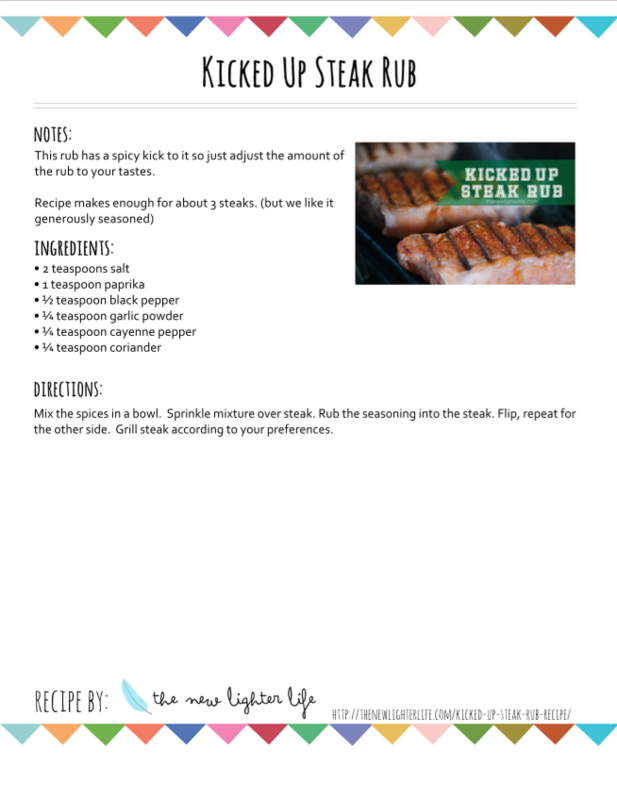 This recipe originally came from Dr. Berg, (who by the way has some fascinating health information). I watched how he made his pizza on a YouTube video but this puppy needs to be in a print version. Head over there if you’d like to see him demo the pizza. Preheat oven to 450 degrees. 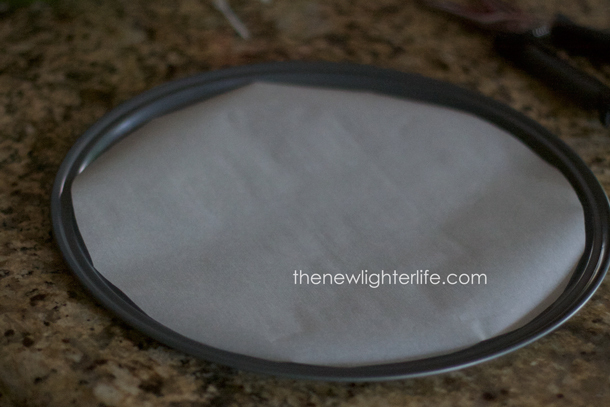 To prepare the pizza pan, cut a piece of parchment paper to fit inside the rim of the pizza pan. 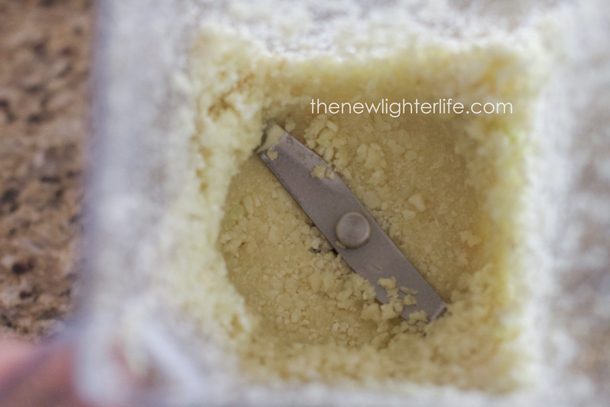 In order to get the 2 cups of cauliflower, process cauliflower in food processor, cheese shredder, or mixer. 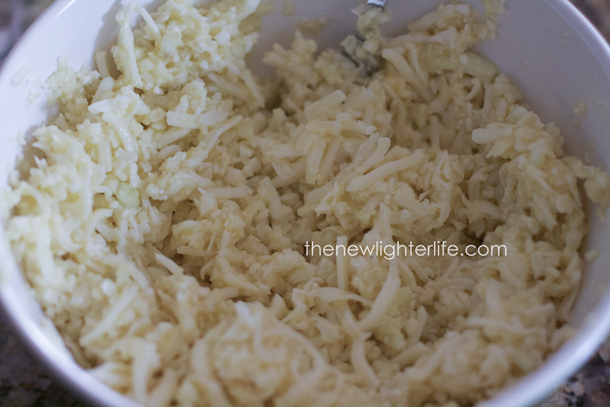 (I use the mixer) Measure out 2 cups of shredded cauliflower and place it in a medium-sized bowl. 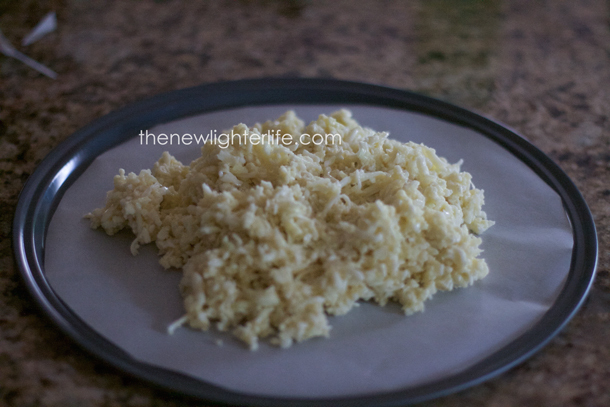 Add 2 eggs and 2 cups of mozzarella cheese to the bowl of shredded cauliflower. Mix well. 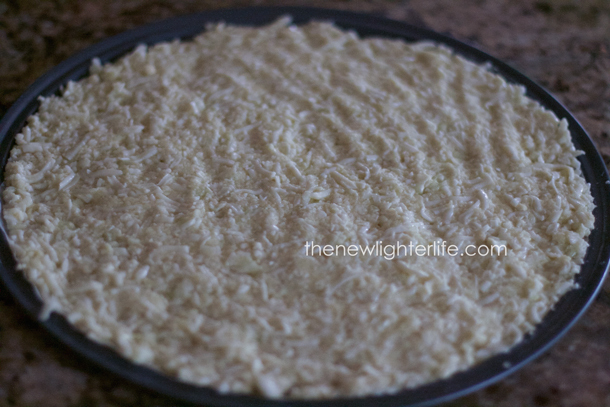 Pour the mixture into the pan and press it evenly and flat. Remove and top with pizza sauce, toppings, and cheese. 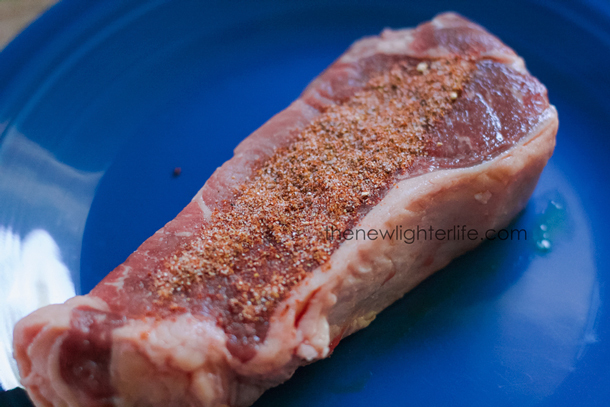 Bake for 10 minutes or until cheese is melted and lightly browned. 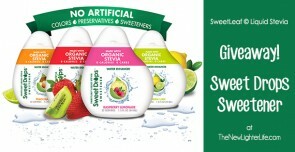 SweetLeaf Stevia Flavor Drops: A Giveaway! 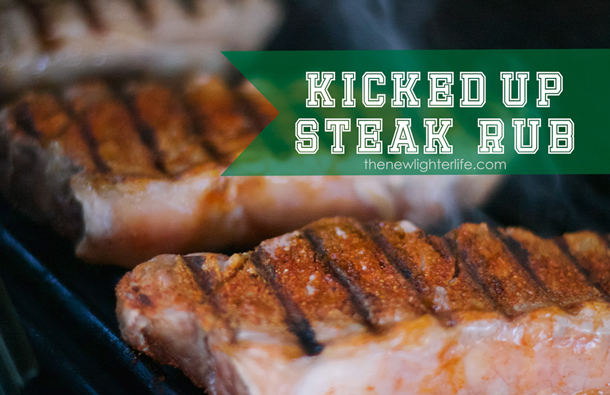 I’m so excited to announce a giveaway on The New Lighter Life!! 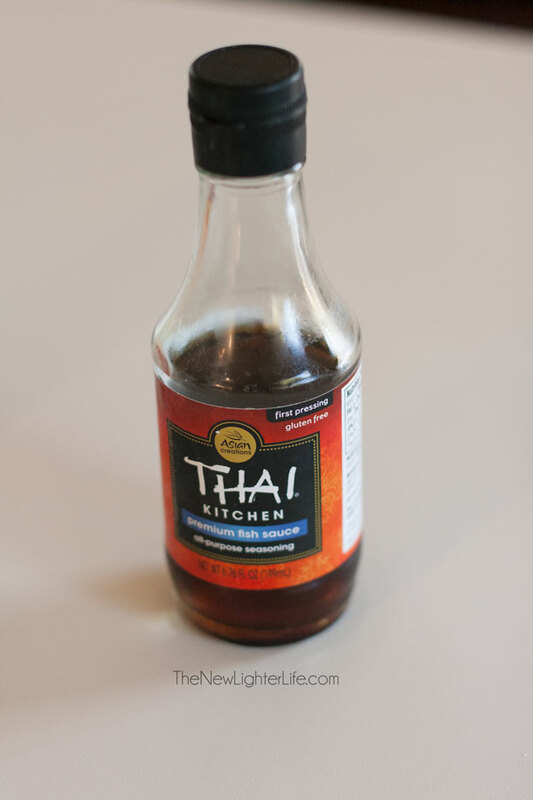 Hang on for details, but first the product…. I use to drink Crystal Light like it was going out of style. Turns out it was…because many people figured out that Aspartame is all sorts of bad. Once that revelation came, I ditched the Crystal Light and pretty well gave up on the idea of a flavored water that was super-convenient. But today I’m so excited to share a new stevia product. 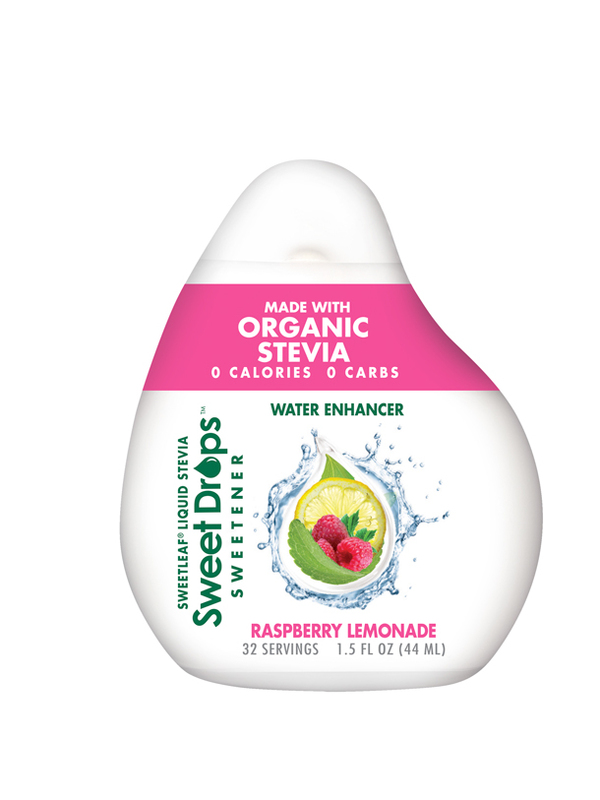 These handy little bottles of stevia-sweetened Flavor Drops are so easy, you just add several drops to your water to taste. 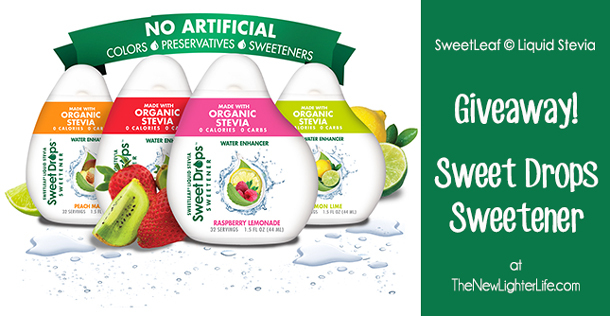 No Aspartame or artificial sweeteners in these babies…just organic stevia. 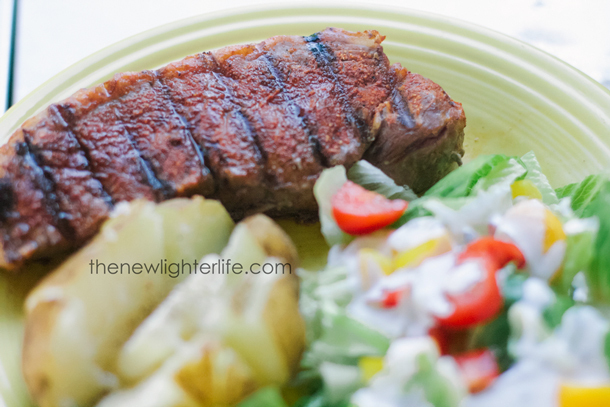 And they’re perfect for the Trim Healthy Mama eating plan! I’ve tasted them all and they are refreshing and light. I’m a fan! I am giving away 4 full-size bottles of the Sweet Drops! To enter this giveaway, follow the Rafflecopter form below! Good luck! Cauliflower is my best friend since being on Trim Healthy Mama. This lovely little (or big) veggie is great for making grain-free pizza crust but it’s ability to stand in for potatoes is why we’re tight. 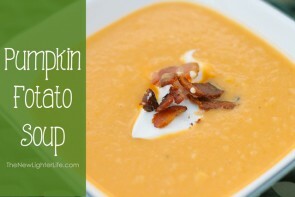 Years ago my very good friend, Anna, shared her Pumpkin Potato Soup Recipe with me. Let me tell you, it is yummy! But since my potato eating days are pretty limited lately, I had to figure out how to make this fall soup work for us. Now keep in mind, cauliflower REALLY absorbs the liquids it’s cooked in. My modified recipe below calls for cooking the cauliflower before you add it to the other ingredients. You are going to want to drain out as much excess water as you can. You may even want to squeeze your cooked cauliflower in a colander. 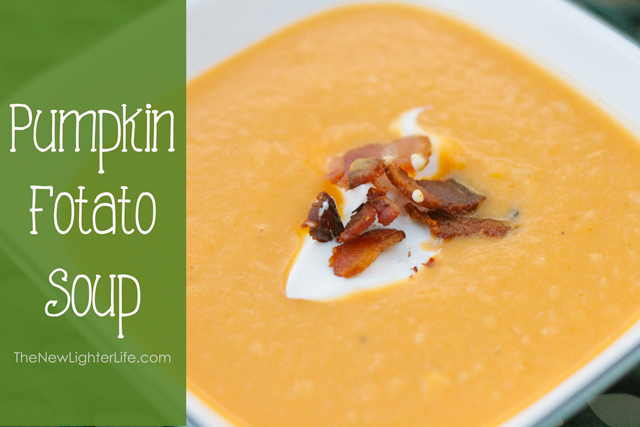 To make this Pumpkin Fotato Soup a complete Trim Healthy Mama (S) meal, I’d suggest a grilled chicken breast or even some rotisserie chicken on the side. 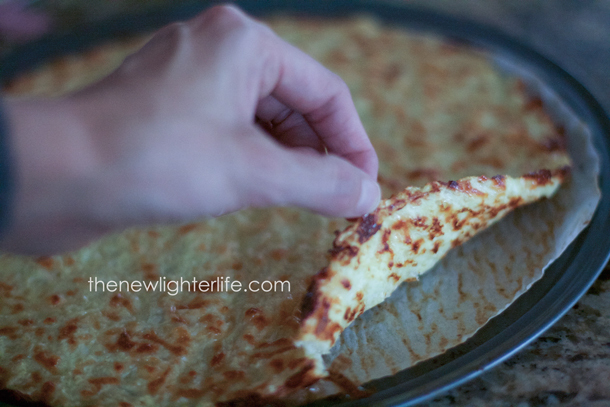 If you’re not following Trim Healthy Mama, you can make this with potatoes. It’s yummy either way. But please please please, do not skip out on the bacon and sour cream. They are necessary. Sauté chopped onion in butter. Add broth, cauliflower, & pumpkin. 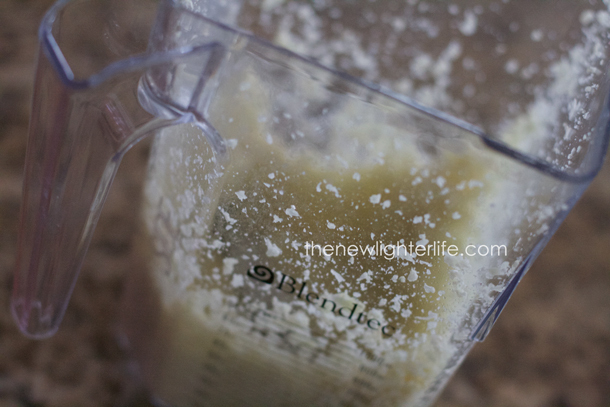 Blend mixture in a blender or food processor until smooth. Add milk to desired thickness. Add spices. Pour into saucepan and heat over medium heat until hot. Do not bring the soup to a boil. Add a dollop of sour cream some bacon to soup when serving. 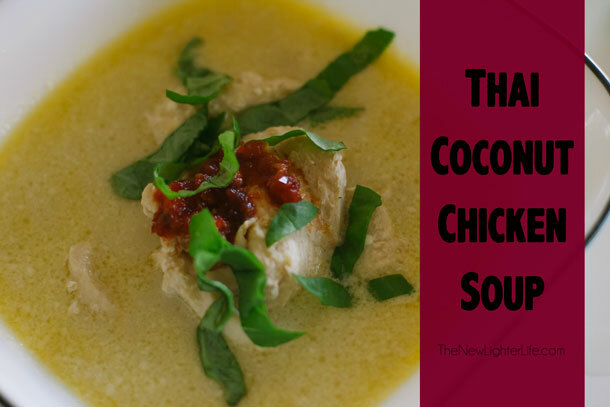 This recipe has been linked up at Gwen’s Nest for Trim Healthy Tuesday. I know most are getting out of smoothie weather since winter is right around the corner. I for one love smoothies in the RV because they are quick, easy to make, cleanup is a breeze, and don’t require a lot of space. Today I’m sharing my favorite smoothie, my Mint Chocolate Protein Smoothie. If you follow the Trim Healthy Mama plan it is an S (Satisfying). The avocado adds a creaminess and you’ll never guess it’s in there. 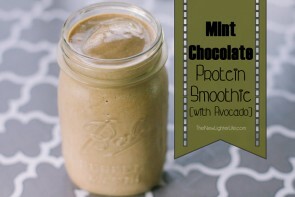 You can make this smoothie without the avocado, it’s still tasty just not as creamy and obviously it has less fat. Without the avocado, it is a FP for Trim Healthy Mama. 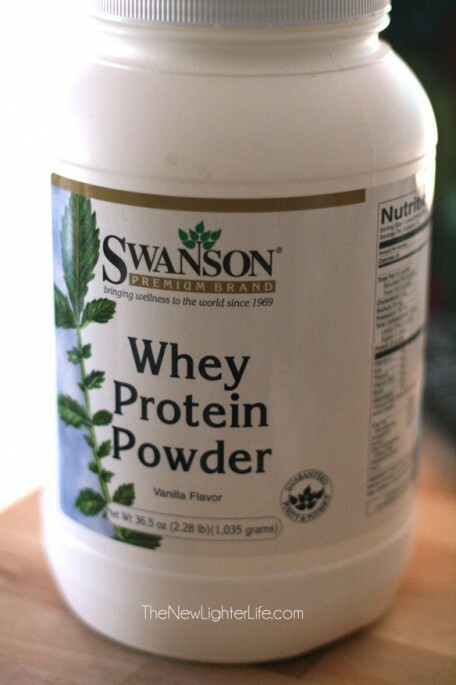 Once again, I use my favorite protein powder by Swanson. You can buy it here, (that is my affiliate link that will save you $5 off your first order). For sweetener, I use 1 Tbsp Xylitol and 2 scoops of KAL Pure Stevia Extract. 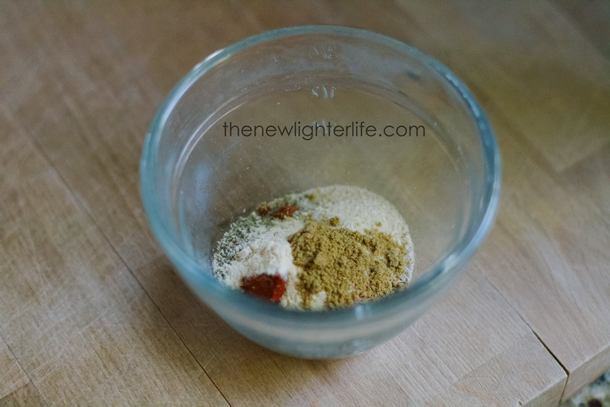 KAL is by far, my favorite stevia extract powder. 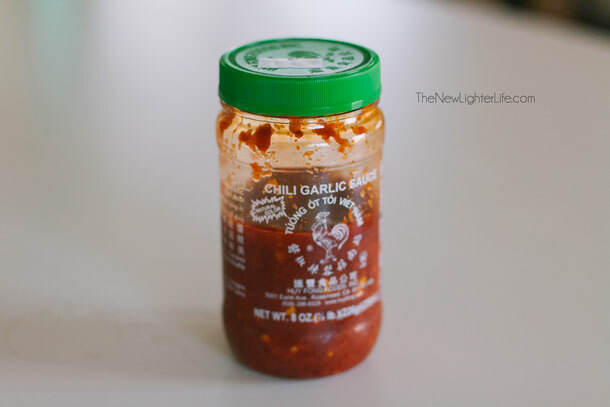 This combination results in the perfect sweetness for me and my kids, but adjust as needed. Pour all ingredients into a blender. Pulse a few times and blend until smooth. So what about you, do you drink smoothies throughout the winter or am I an oddity? This recipe has been linked up at Stacy Makes Cents and Gwen’s Nest for Trim Healthy Tuesdays.